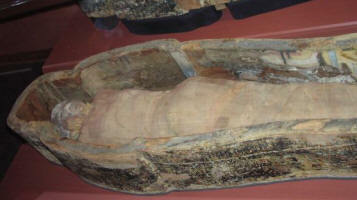 A mummy is a dead body embalmed or otherwise preserved to protect it from decomposition. Dead bodies start smelling pretty fast. Back in ancient days, burial rituals and celebrations, and their preparations, could take quite some time. Hence people mummified. People also mummified for spiritual reasons because they believed in an afterlife and wanted the body to get there unspoiled and intact. This wooden sarcophagus is engraved with hieroglyphs and decorated with inscriptions of birds' feathers. It is still bearing its original coloring and writings. 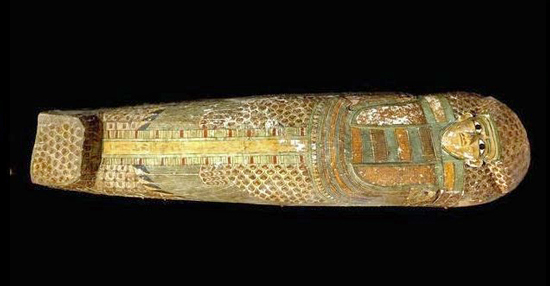 It was found completely with its 3,600-year-old mummy, apparently belonging to a high official. Unearthed in the ancient city of Luxor, southern Egypt, the sarcophagus dates back to 1600 BC, when the 17th Dynasty reigned. There are different recipes to mummify artificially. But regardless which method you prefer, to begin with, you always want to take out the organs so they won't rot inside. Why is that? The body may still look fresh right after death, but the second someone dies the bacteria that were formerly digesting food now start eating the organs themselves. So, always remove the organs before you mummify away. The pros pull the brains out through the nose, then on to the abdomen. The removed organs go into jars. The abdomen gets filled up with whatever is handy and fits the cavity, and then it is sewn up. Now you can go about embalming for which you have at hand preferably resin. You also need linen bandages to wrap the whole thing up. Spices et cetera are optional. 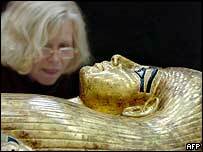 The Egyptians covered the bodies for several weeks with natron before the wrapping. Natron has an anti-bacterial effect and absorbs water. Another way to preserve dead bodies is by putting them into a bath of vinegar (think pickles) or alcohol. Admiral Nelson's body, for example, was transported in a barrel of brandy. Who Were the Mummy Makers? The Egyptians were professionals when it came to mummies, of course. 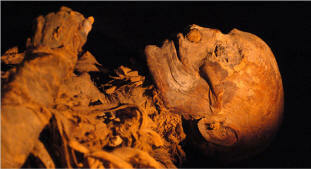 But the Incas mummified as well and so did the Chinese. 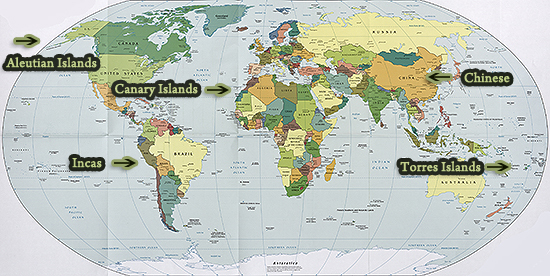 More mummies have been found on the Torres Islands, the Aleutian Islands, and the Canary Islands. 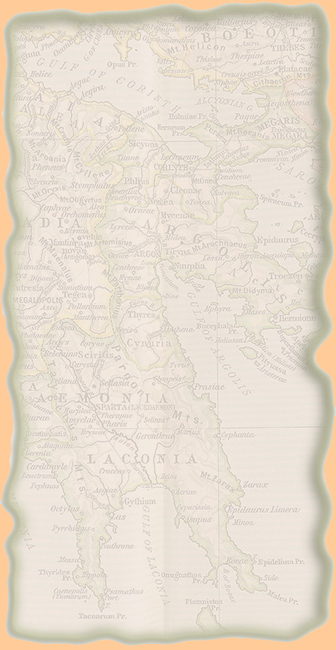 It's the year 740 AD and you don't feel so well. You go down to the pharmacist at the corner and, instead of Aspirin, he gives you Mummy. That's right. Throughout the Middle Ages people sold ground mummies to cure your troubles. People seem to believe it is. Read the New York Times article. By the way, the Egyptians mummified animals as well. And these upright people here offer to mummify your pet, check it out. And they do people too! Put $67,000 on the counter and aunt Abby stays in your living room. Forever. See more under Ancient Egyptians.